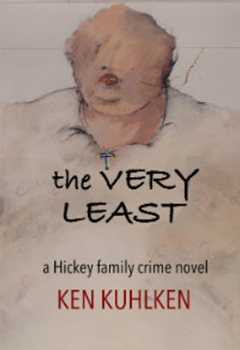 Ken Kuhlken’s THE VERY LEAST: A HICKEY FAMILY CRIME NOVEL, about a journalist who runs afoul of crime bosses, politicians, and tycoons on both sides of the U.S.-Mexico border, is a fast-paced suspense story that’ll keep you reading all night long. 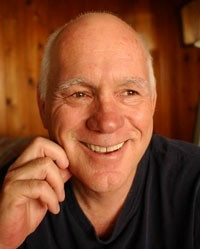 Kuhlken is the author of numerous award-winning novels, stories, articles, poems, and essays. His impressive list of honors includes a National Endowment for the Arts Literature Fellowship, a PEN Ernest Hemingway Award, and a Private Eye Writers of America Best First P.I. Novel award, as well as several San Diego Book and Los Angeles Book Festival awards. His 2006 novel The Do-Re-Mi was a finalist for the Shamus Award for Best P.I. Novel. The Big Thrill recently caught up with Kuhlken to discuss his long-running Hickey Family series, which reaches its 10th installment with THE VERY LEAST. How did you come up with the Hickey family characters that feature in many of your novels, including THE VERY LEAST? They began with a short story about a fellow based on my dad who goes looking for somebody in Tijuana during WWII. Having grown up overlooking Tijuana, the place had long fascinated me. My friends Dennis and Gayle Lynds suggested I make the fellow a private eye, and since I’d been reading Raymond Chandler, that idea felt just right. How many books are there in the series? Ten. Together, they cover most of the 20th century, even though I wrote and published them out of chronological order. Still, I wrote them to each stand alone or for the series to be read in any order. What got you started in this wonderful world of novel writing? My grandma took us in when I was little and finances got the better of my folks. Grandma was Mary Garfield, a painter, poet, and masterful storyteller. Is there a common theme that passes through your writing in general, across the different books and series you’ve written? On Prairie Home Companion, Garrison Keillor and his pals sang a hymn that offers the line “Redeeming love has been my theme, and shall be till I die.” That’s my theme too. What can your readers expect to see in the future? In 1974, I think it was, during the Arab oil embargo, a friend and I crossed the country in a 1947 Dodge pickup, and afterward I wrote a short novel called The Gas Crisis. Then I started revising and kept going back to it between other projects, and I intend to complete it in 2019. It’s currently about a quarter million words. Maybe it will come out as five or six shorter novels. 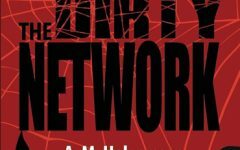 All together, it’s a simple tale about the 1960s and their lingering effects, and crazy people, and the end of the world.